With many companies manufacturing Composite doors, you might be wondering why choose a Solidor Composite Door from Gardinia over the competition? Well let us tell you! Solidor Composite Doors contain a 44mm solid timber core. That’s 4mm more than foam filled alternatives, which are not solid or secure. In addition a solid timber core is both thermally efficient and extremely secure. Hidden edge banding allows the front of your Solidor to remain a glorious slab of colour. Typical alternatives have visible edge banding, so you will often see a different coloured line running the length of the door. The through colour ABS skin on Solidor doors are made from the same durable plastic as Lego. I can say as someone who built a lot of Lego cities as a kid, Lego is very durable (and hurts when you stand on a brick!) – the end result is any scratches are basically hidden. In comparison the Gel coated GPR outer skin on competitors doors offers protection, however can easily be cut though, with scratches often showing very easily over the lifetime of the door. 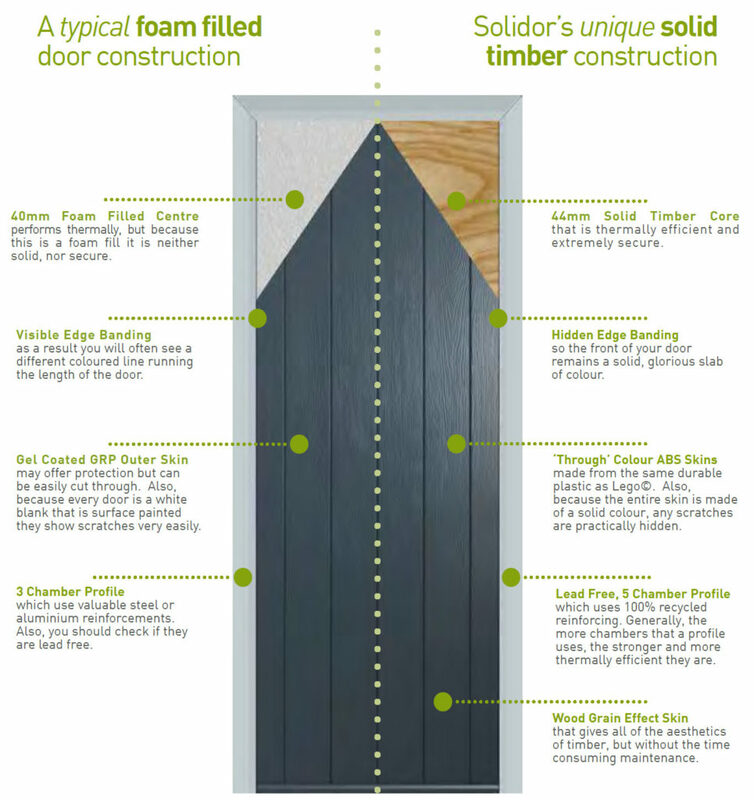 Solidor Composite Doors are manufactured on a lead free 5 chamber profile which uses 100% recycled reinforcing. Generally the more chambers a profile uses, the stronger and more thermally efficient the profile is. More often than not lesser profiles will use a 3 chamber profile, resulting in a significant security reduction if the door is attacked. 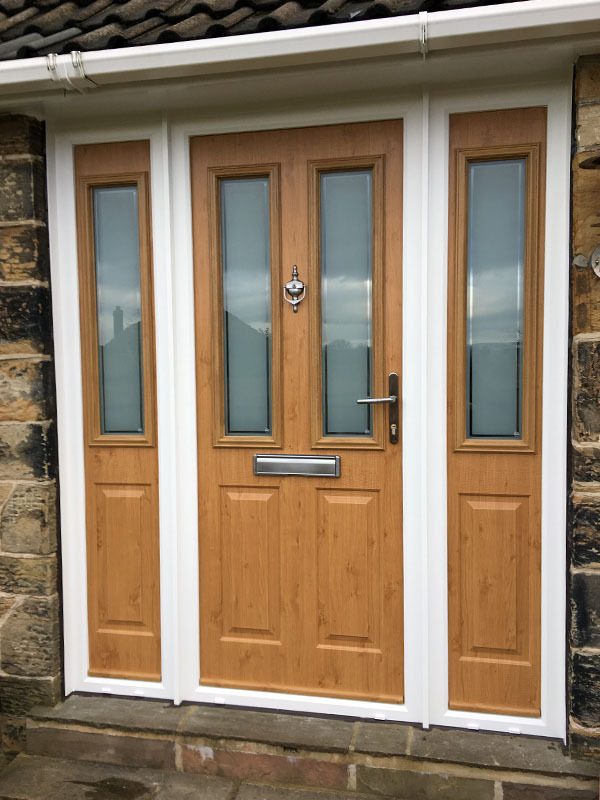 The Solidor wood grain effects give all the benefits of a traditional timber door, without requiring all the time consuming maintenance. Why not browse Gardinia’s Solidor Composite Door page to learn more about what is possible? If you like what you see then request a free consultation to find out more about what is possible with the Solidor range.